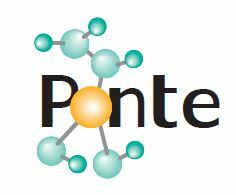 PONTE aimed at providing a platform following a SOA-based and Semantic approach that would offer automatic intelligent selection of patients eligible to participate within well-specified clinical trials for drug repositioning. It had particular focus on mitigating patient safety risks, reducing clinical trial costs and improving clinical trial efficacy. Work towards this direction involved decision support mechanisms fed with information retrieved from a semantic search engine; the latter operating on top of a data representation linking data within drug and disease knowledge databases, clinical care and clinical research information systems. 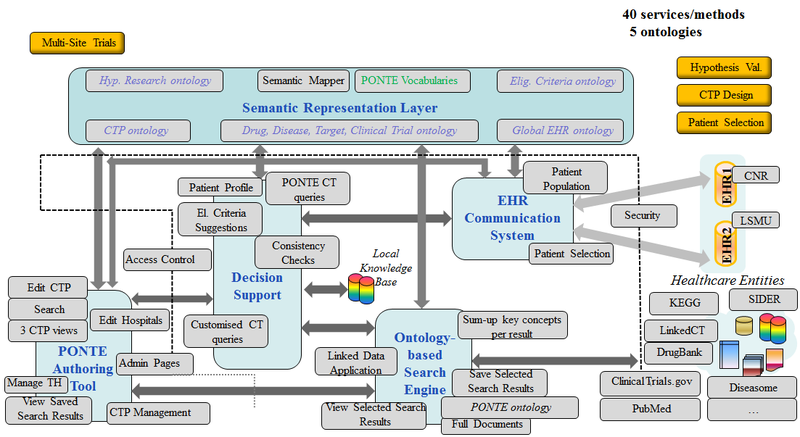 Semantic interlinking of clinical research data with clinical care information from patient records in healthcare settings through the development of a Semantic Specification Language for eligibility criteria, advanced ontology mapping tools and query rewriting mechanisms. Development of sophisticated decision-support mechanisms, encapsulating semantic inference, that build the patients’ profile on the basis of clinical trial efficacy, patient safety and clinical study cost. Combination of ontology-driven data integration and text mining techniques to enable the mining of information required from the various heterogeneous data sources involved. Integration of a wide spectrum of existing clinical data standards into an innovative core ontology-driven scheme that encompasses the entire clinical research and clinical care processes within the PONTE objectives.